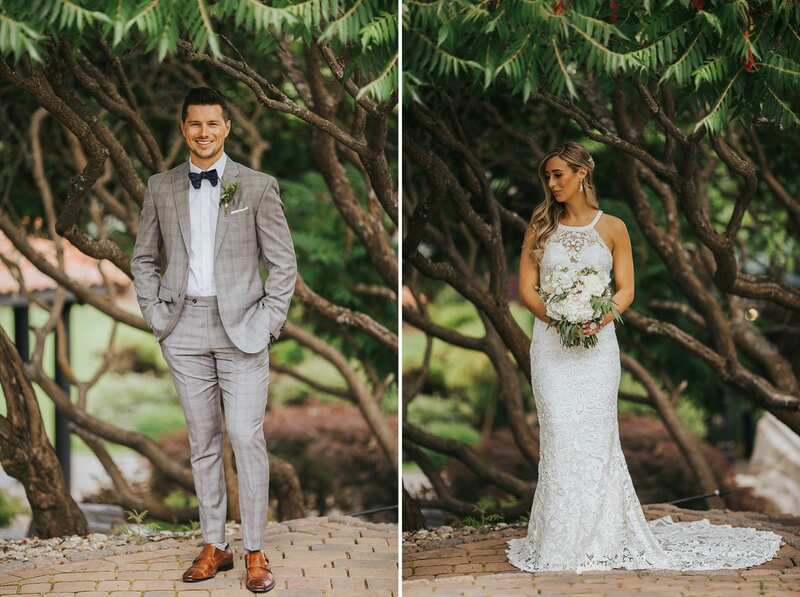 Kim + Ryan’s Vernon Durali Villa wedding was full of class and charm and love. 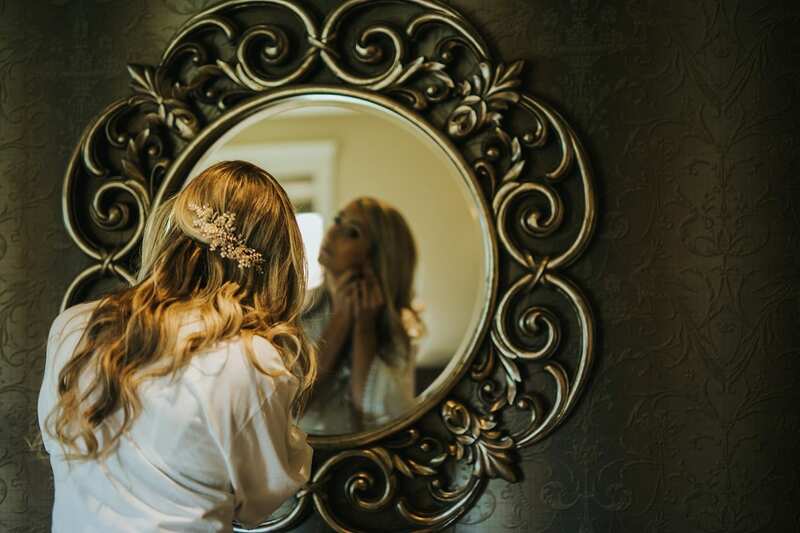 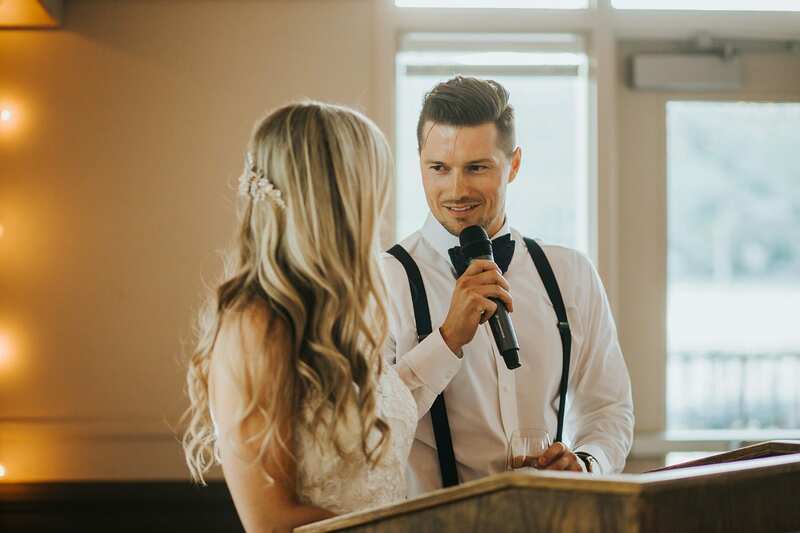 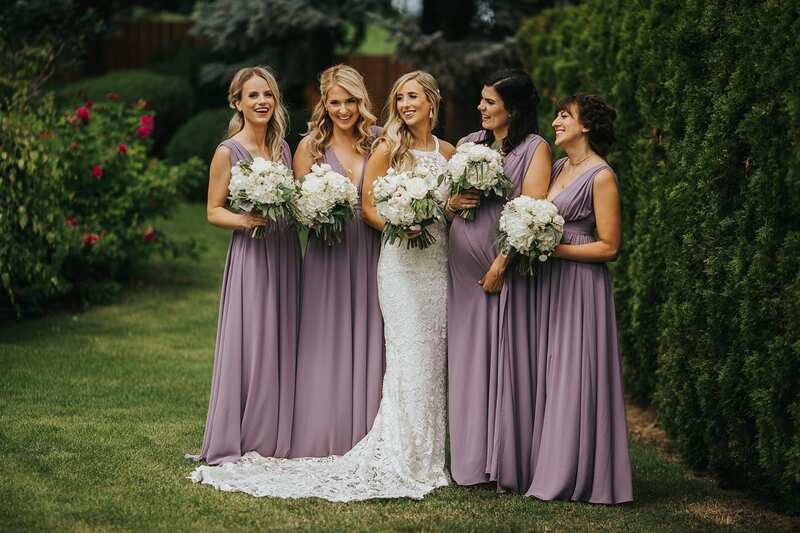 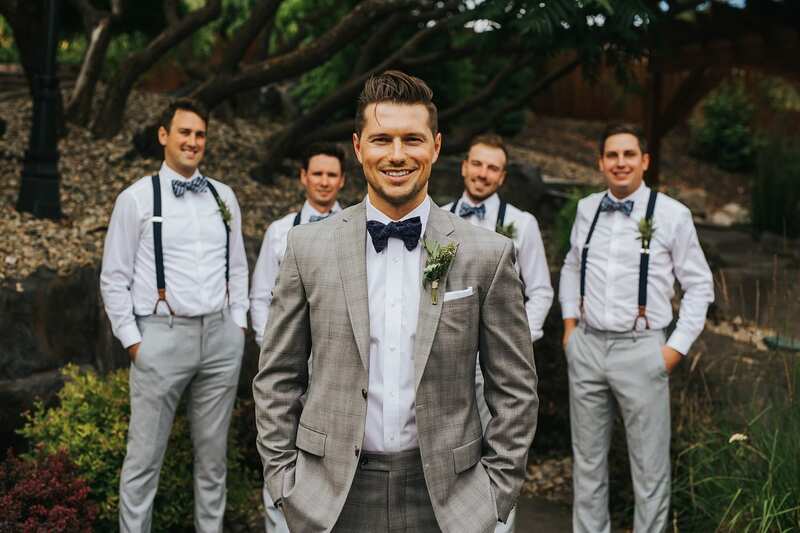 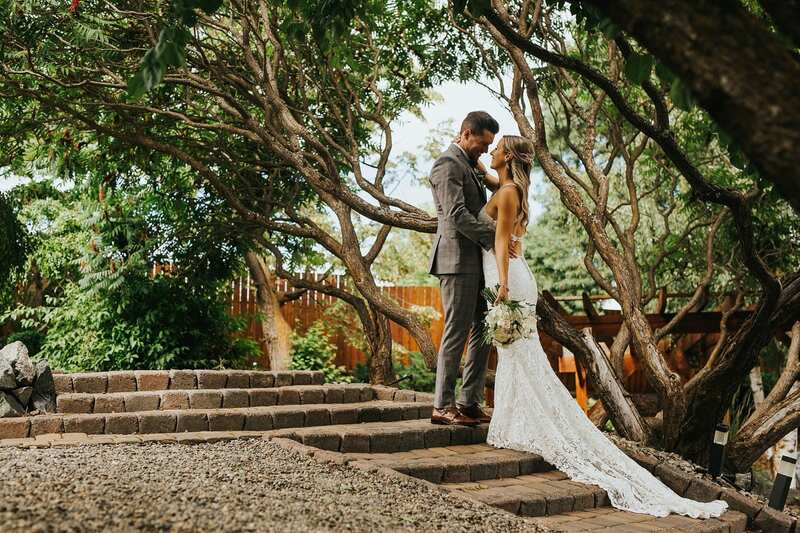 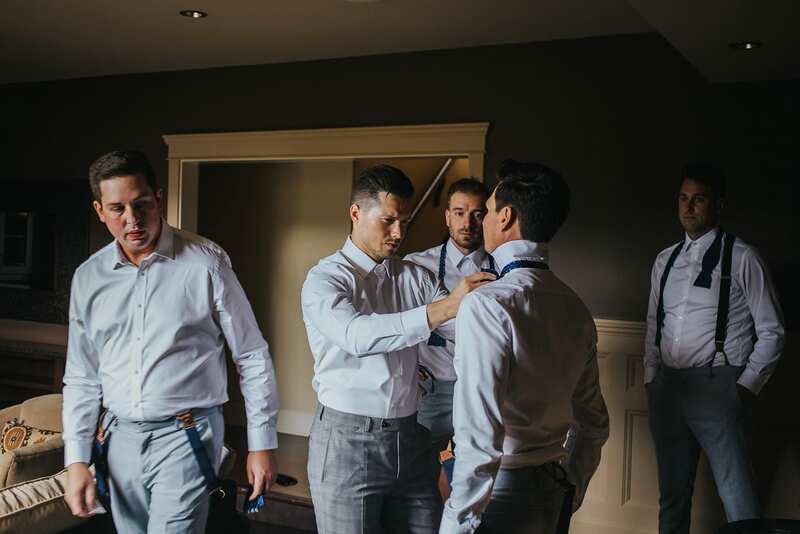 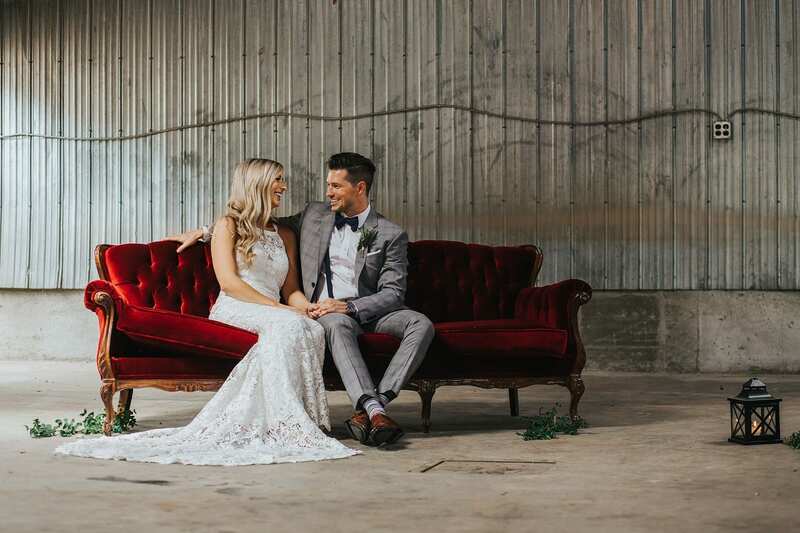 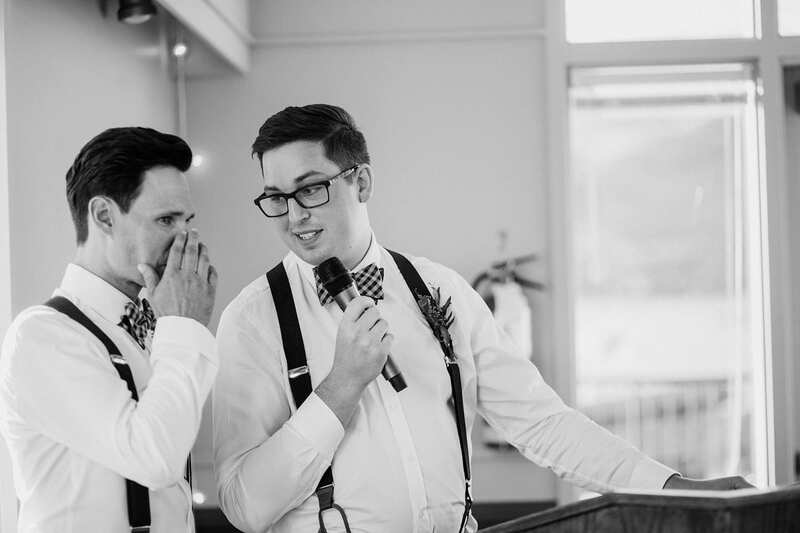 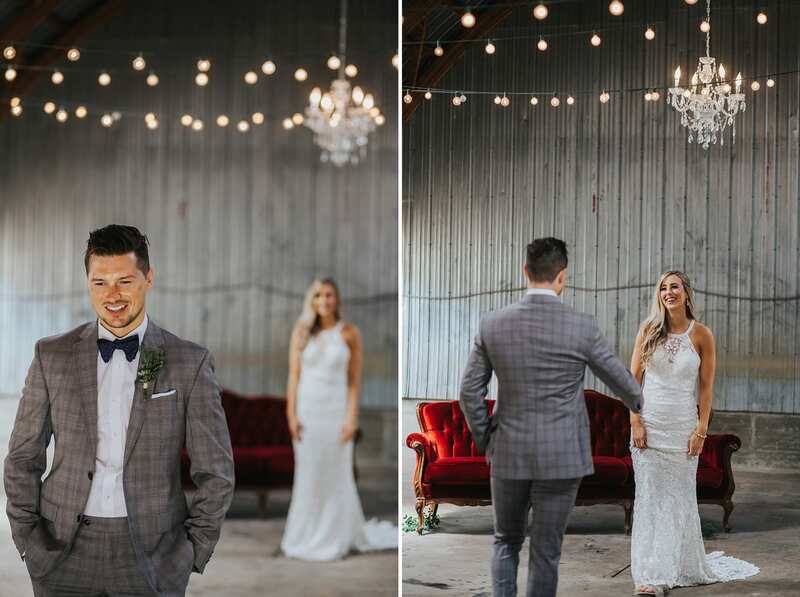 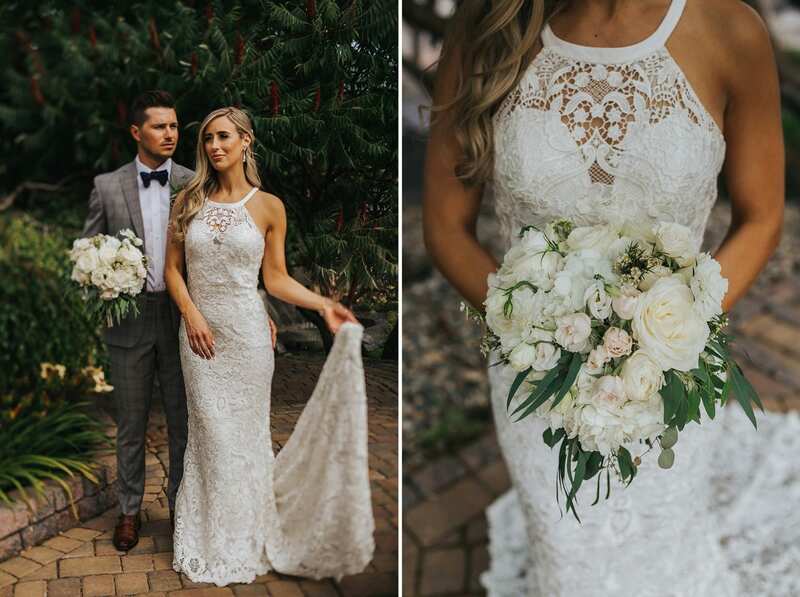 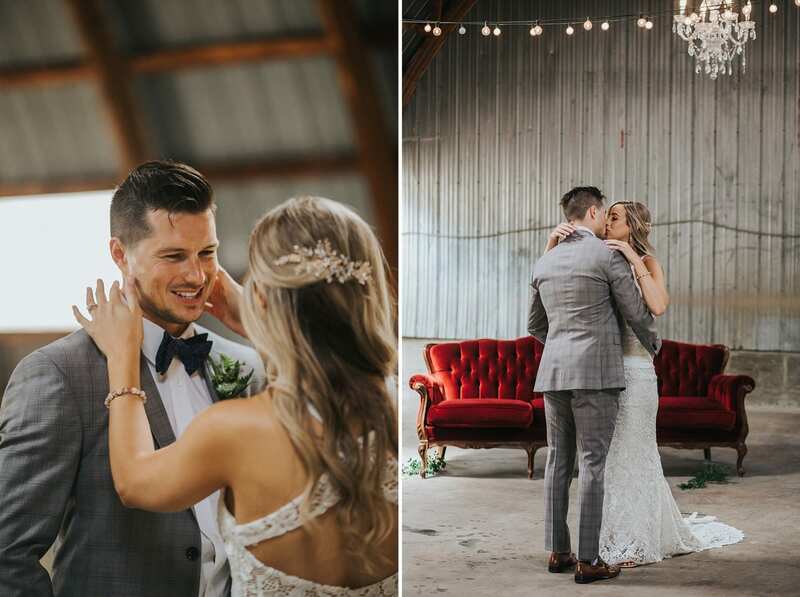 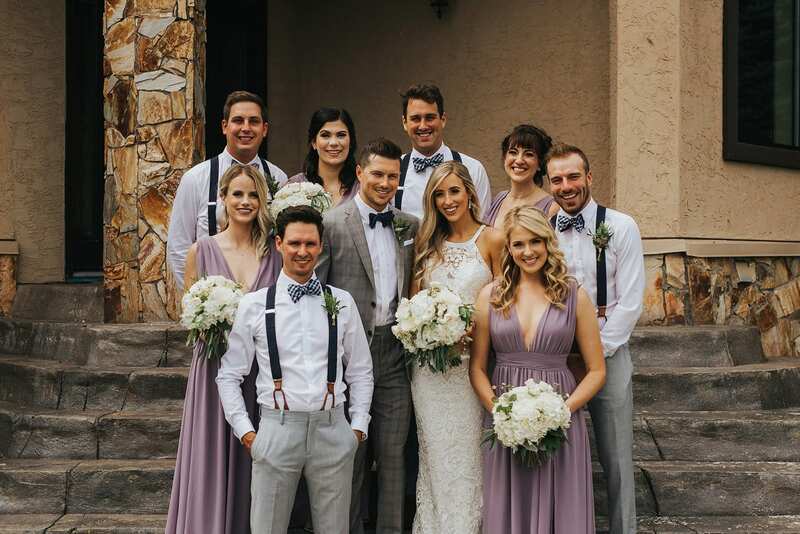 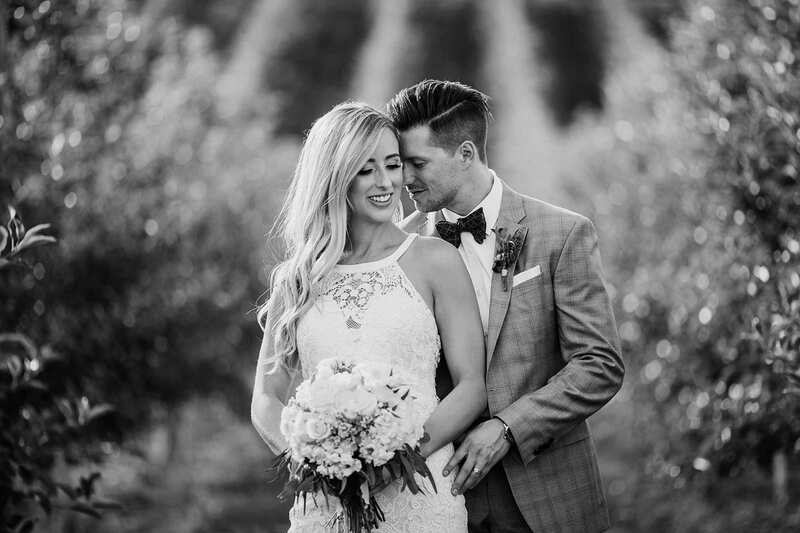 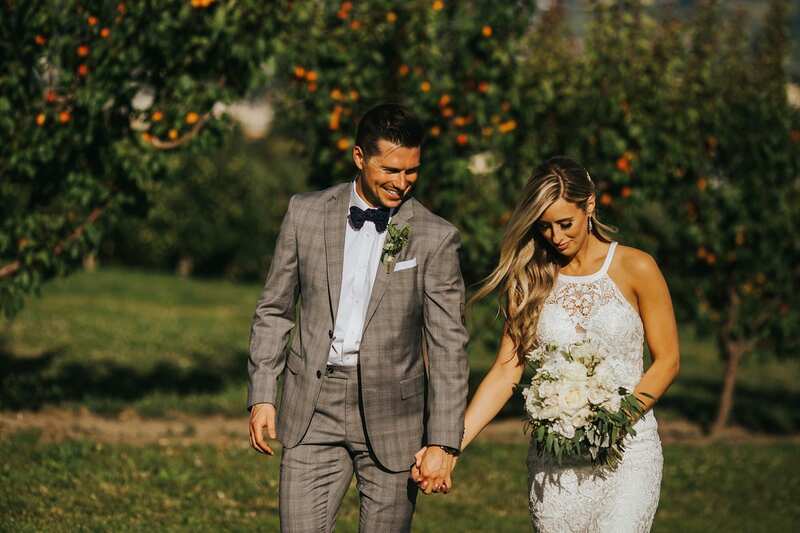 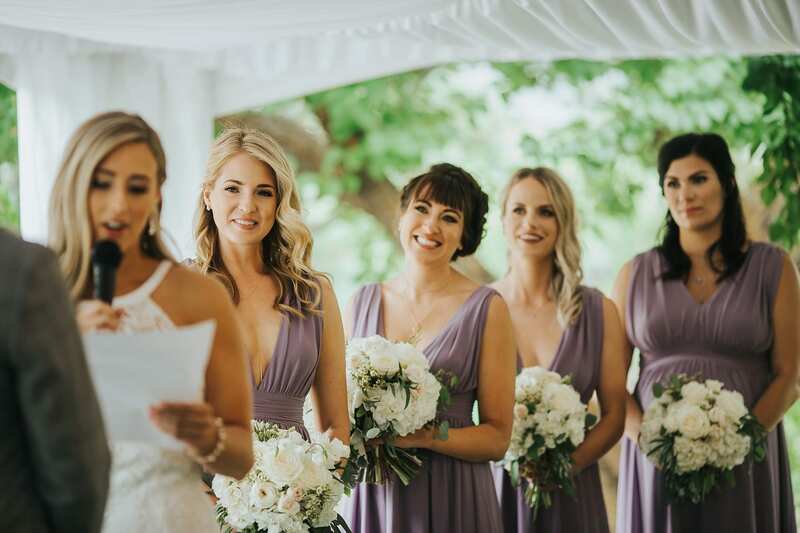 We arrived at this lovely Okanagan villa wedding during the finishing touches of hair and makeup with the talented, Jesse Voss and Noir Hair Salon. 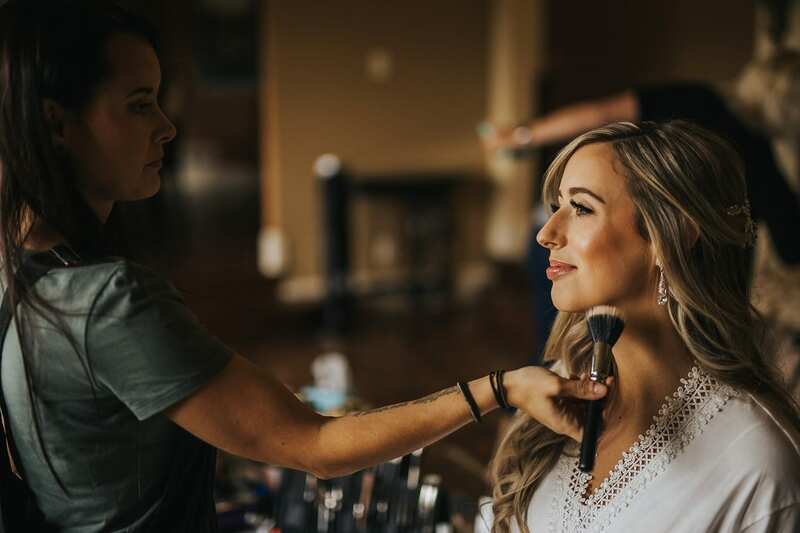 Kim was radiating joy and peace during these finishing touches. 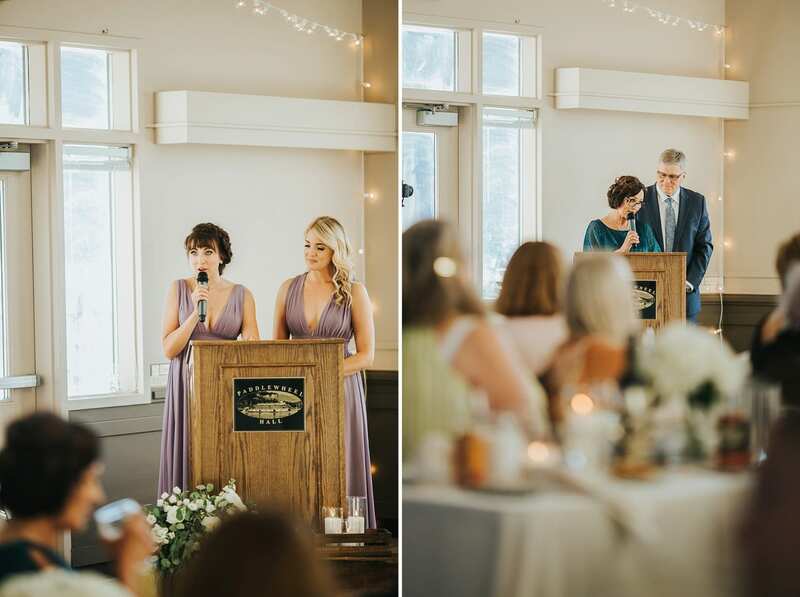 Kim had written the most thoughtful notes to each of her bridesmaids and to her mother, and future mother-in-law. 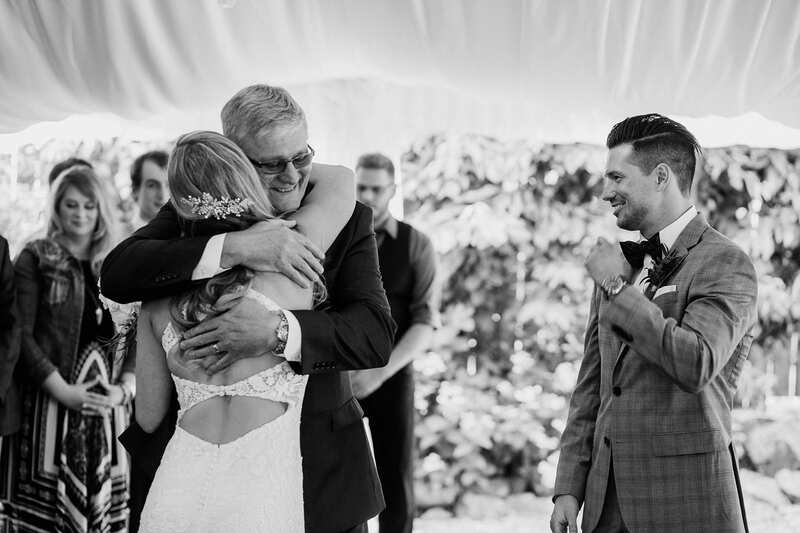 She made sure that everyone she loved most knew how important they were to her on this biggest day ever. 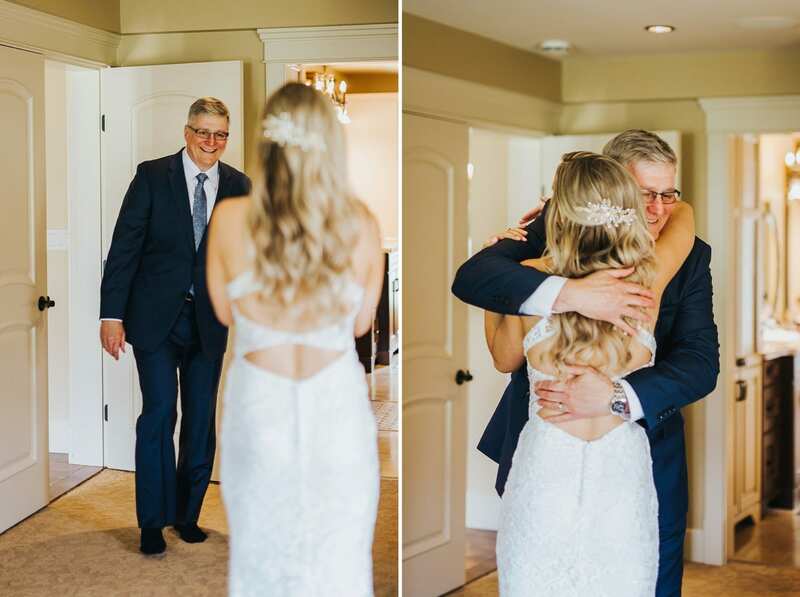 She also made sure to have a First Look with her sweet dad. 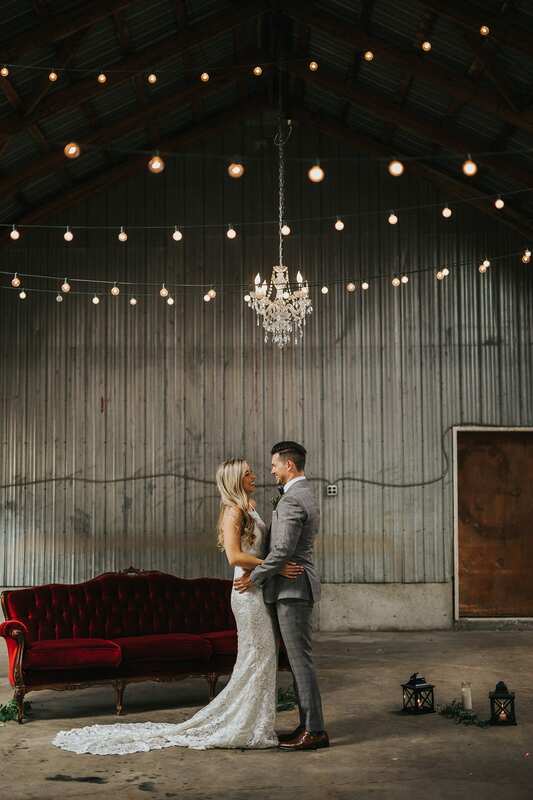 It’s such a special space to be invited to capture these private and intimate moments with our couple’s closest loved ones. 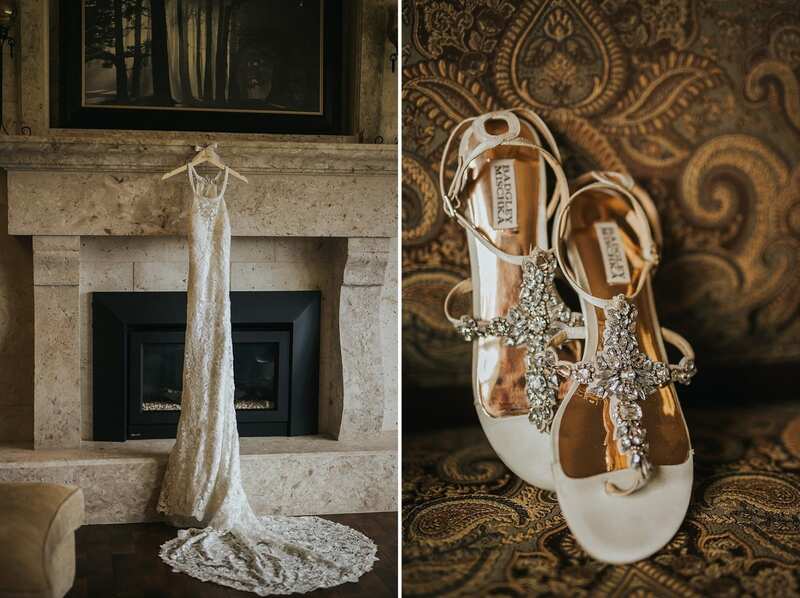 Kim was very intentional about how she spent these last moments as a non-married woman. 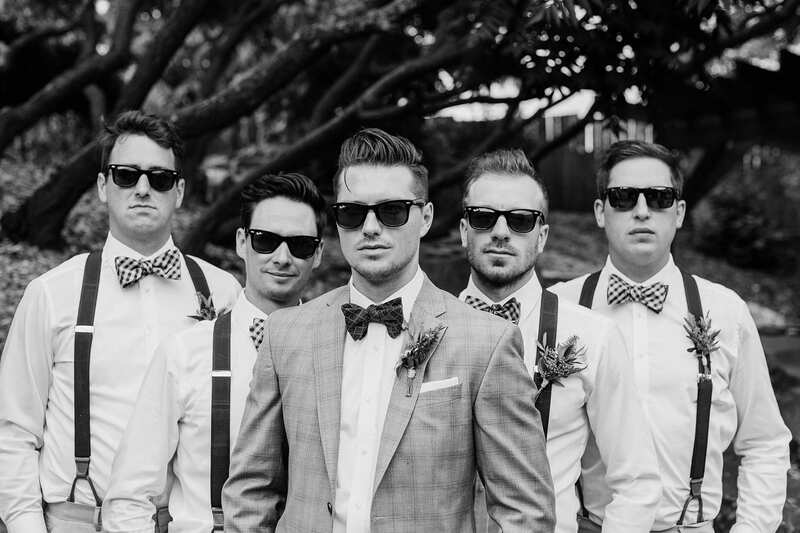 Meanwhile, Ryan was downstairs with his men, tying their bow-ties like a boss. 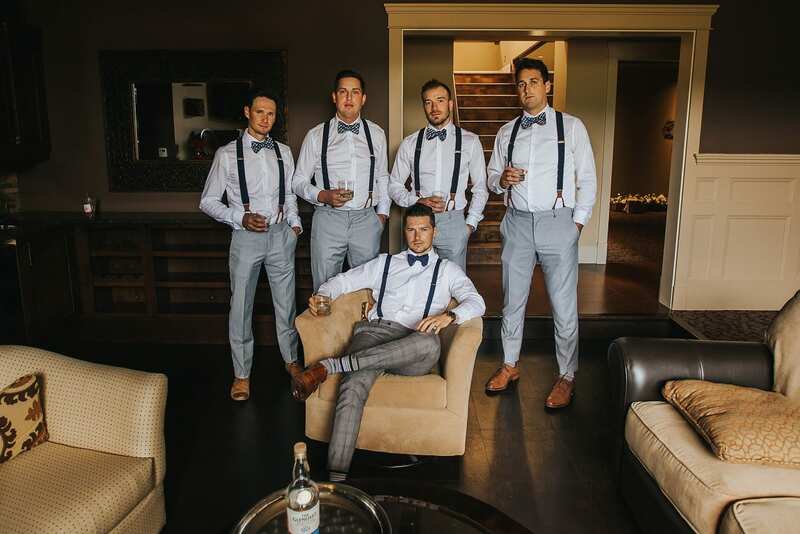 The guys enjoyed some Glenlivet Whiskey, in the perfect setting. 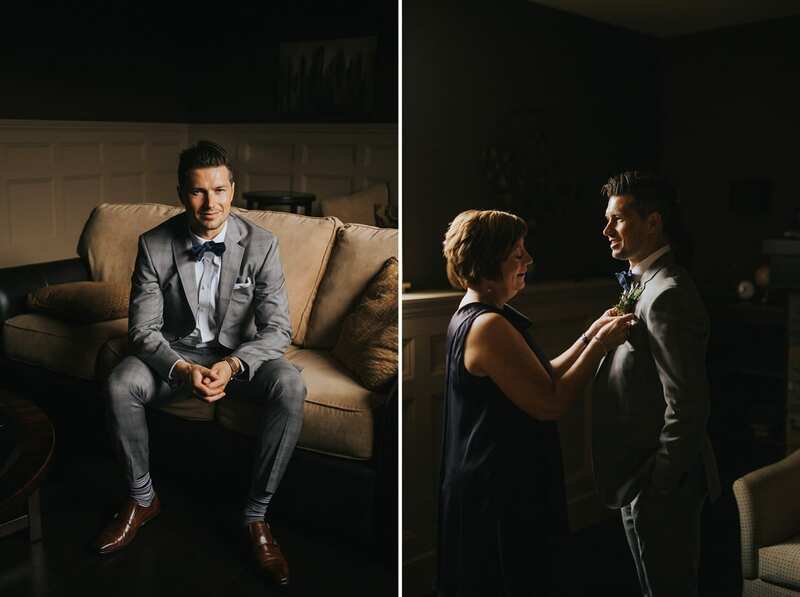 Ryan’s mom was sure to be the one to pin Ryan’s boutonniere on and we were ready to head off to the First Look in the barn, right on location. 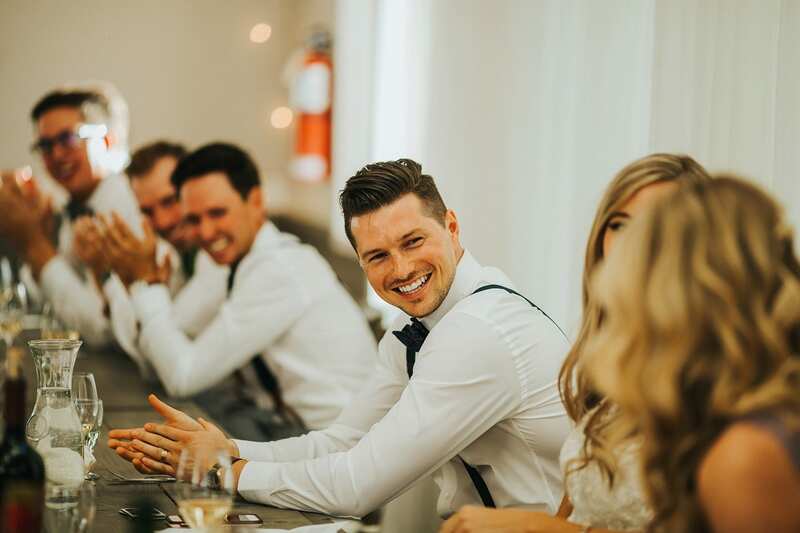 The moment Ryan saw Kim, his smile said it all. 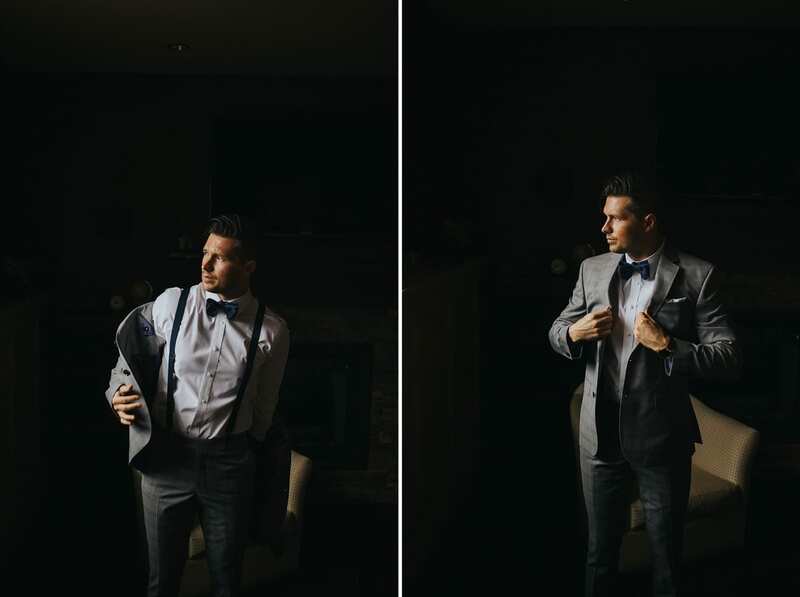 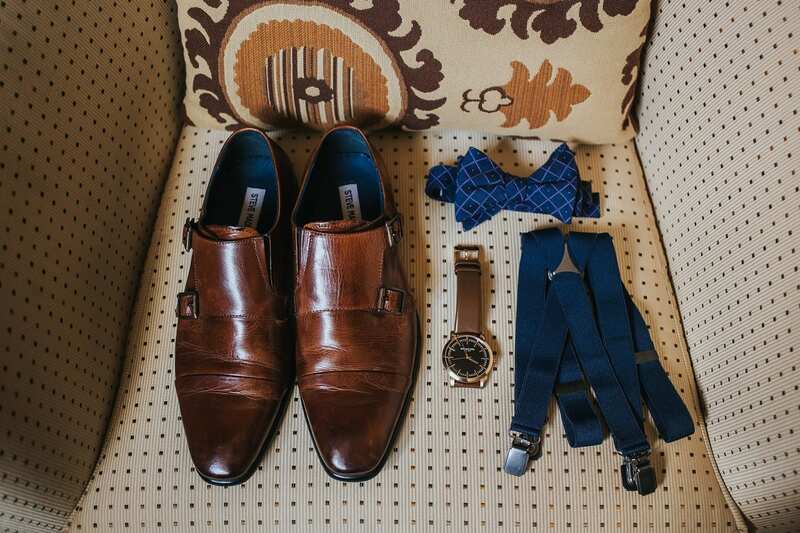 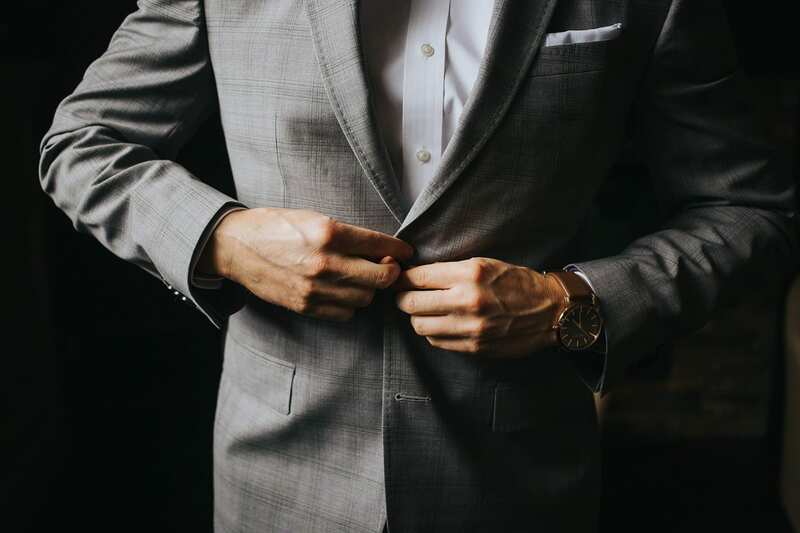 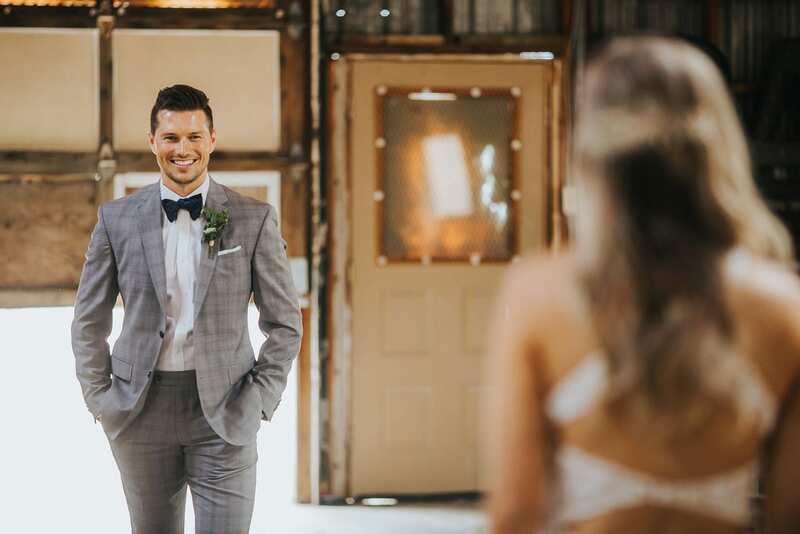 He was ready to start the rest of his life with his beautiful bride. 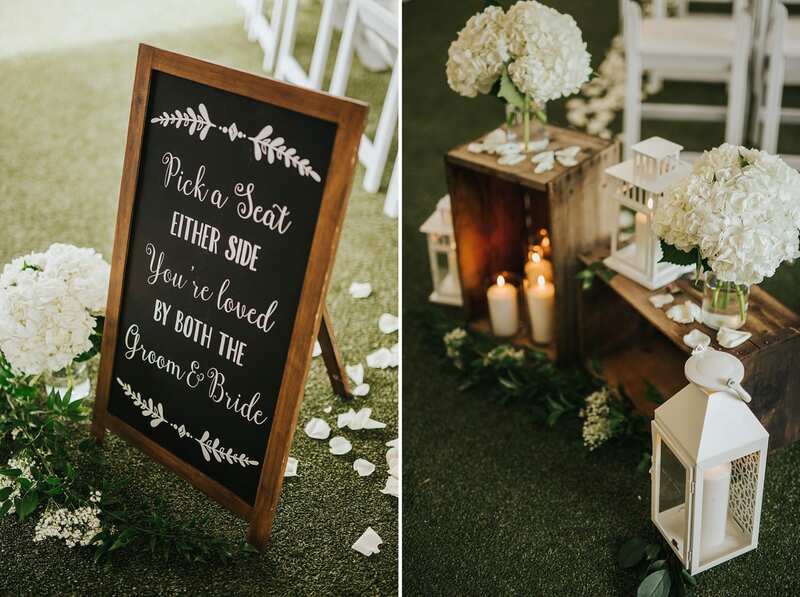 The couple enjoyed a few private moments together, where Durali’s all knowing staff had created a lovely space for the love birds. 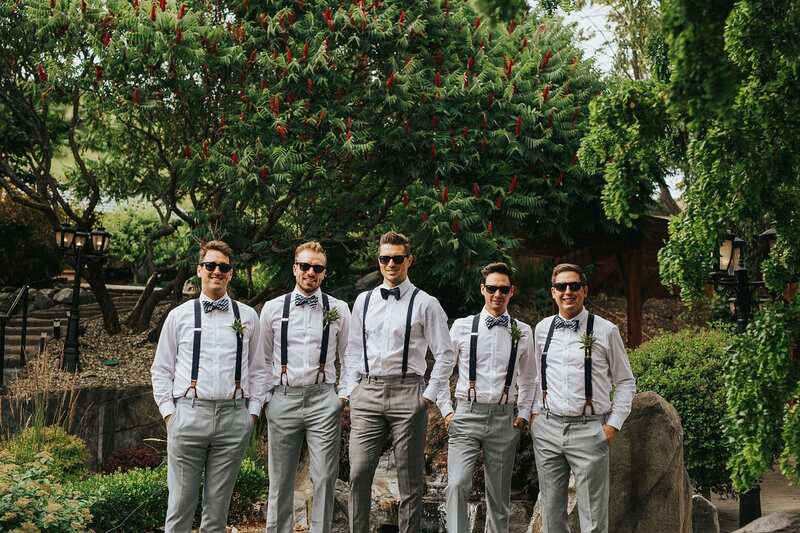 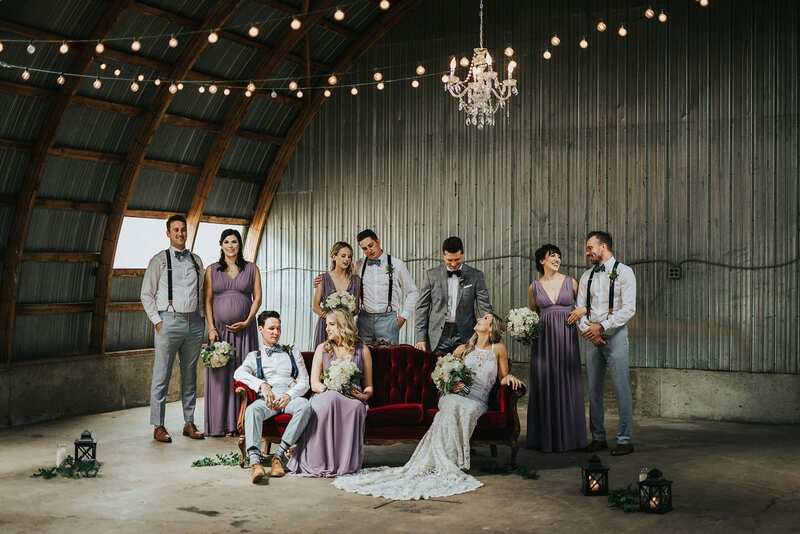 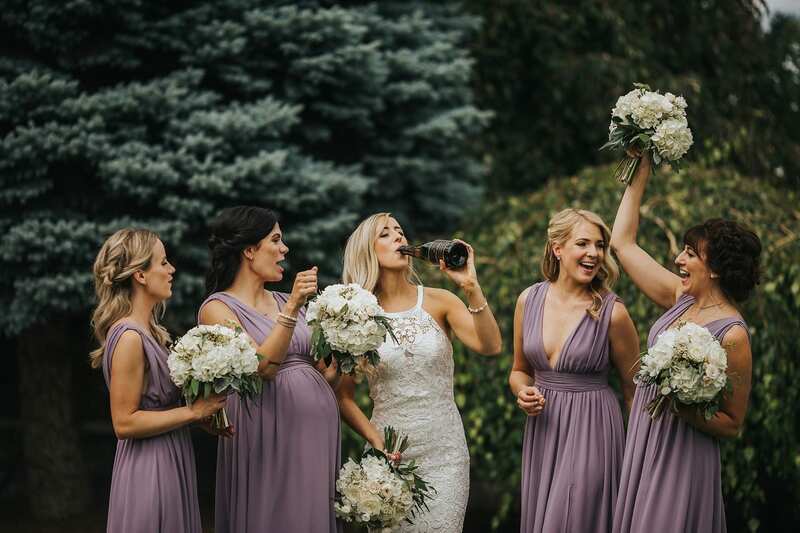 Once they were ready to share their space, we called in the rest of their bridal party to begin some fun, and natural bridal party photos around the venue. 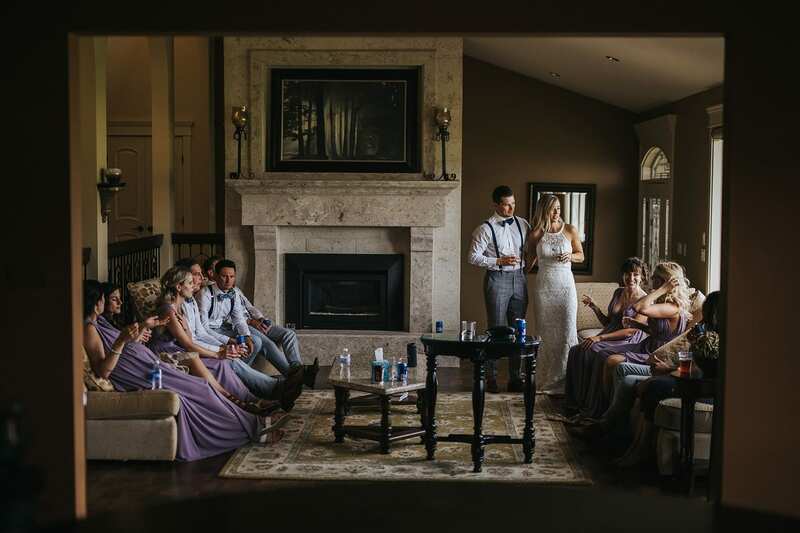 The guests began to arrive and it was time to hide away until the ceremony began. 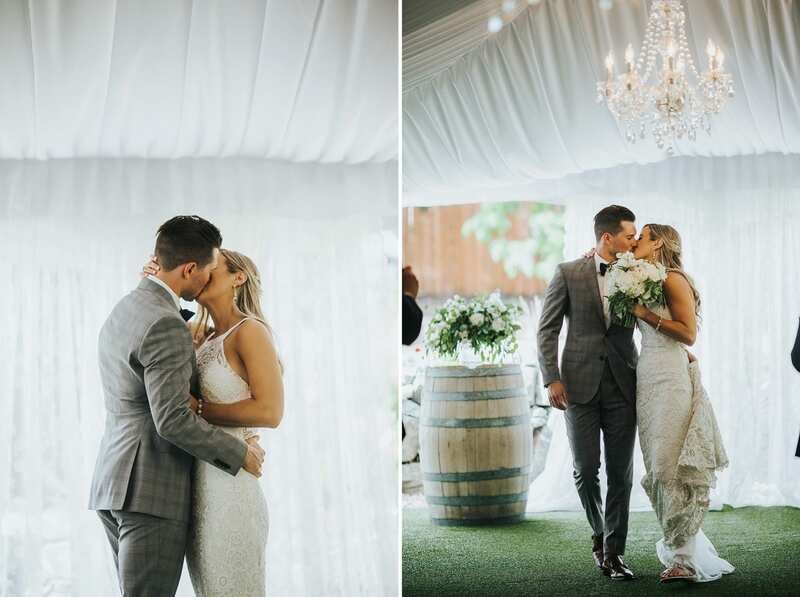 Each and every detail under the tent was thoroughly thought out, candle-lit, and lovely from the rose petals to the vintage decor. 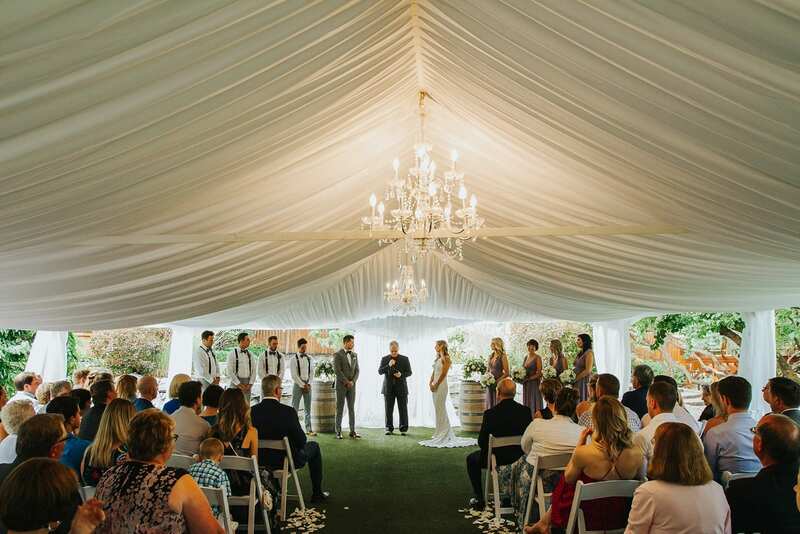 This tented ceremony was timelessly beautiful. 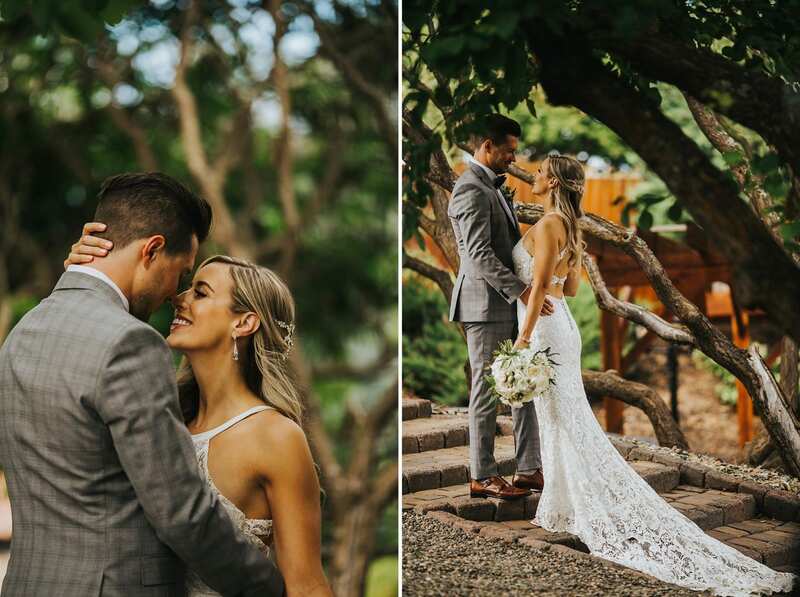 After Pastor Dwayne’s sacred ceremony was sealed with a kiss, we spent a few more minutes taking some portraits around the property at Durali before heading out to a very special place our love-bird’s had been making memories since they were kids. 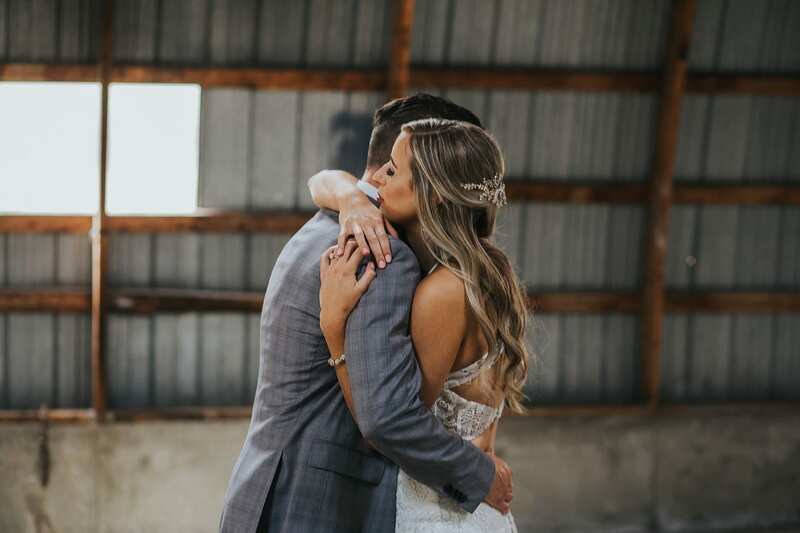 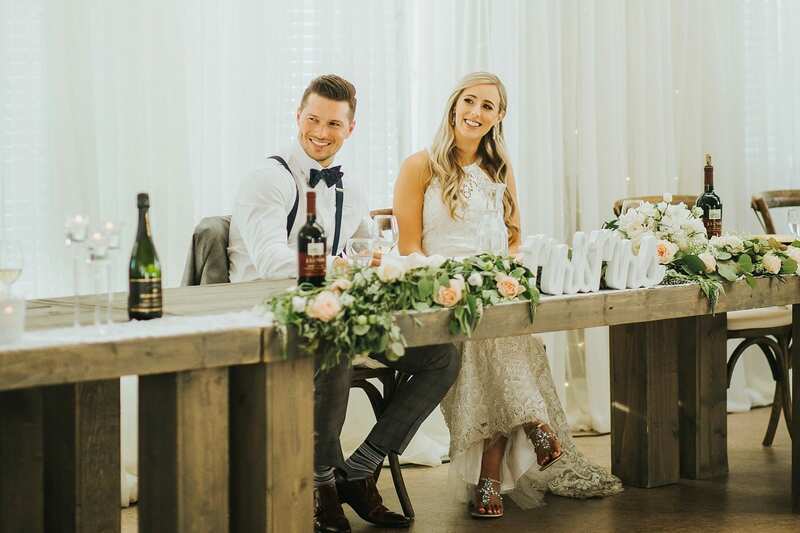 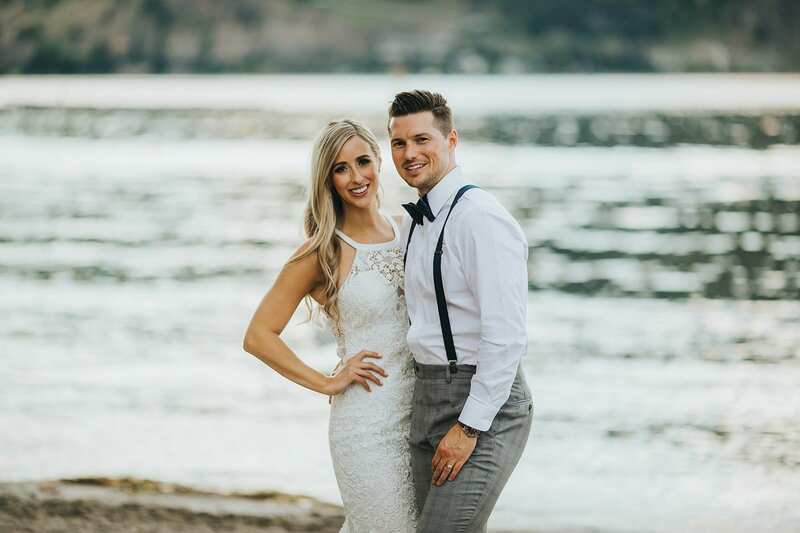 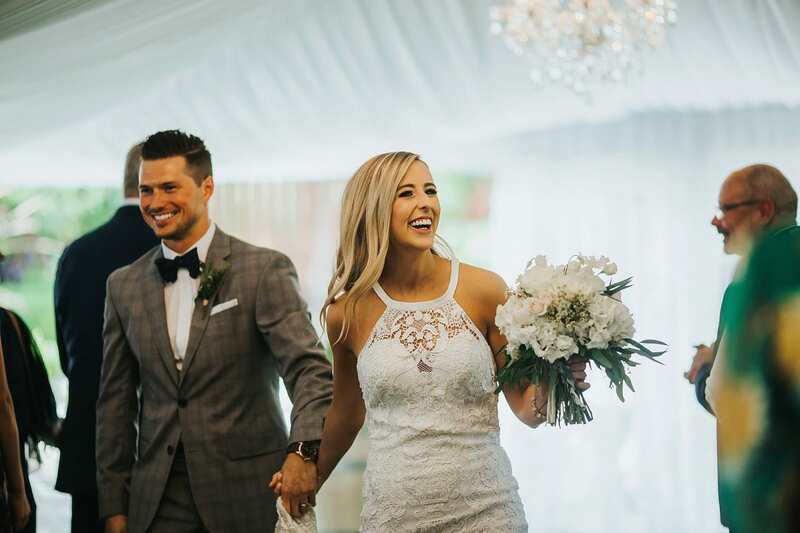 Ryan + Kim fell in love in a small town in Saskatchewan years before, but had been coming to the Okanagan many many summers to visit Ryan’s family. 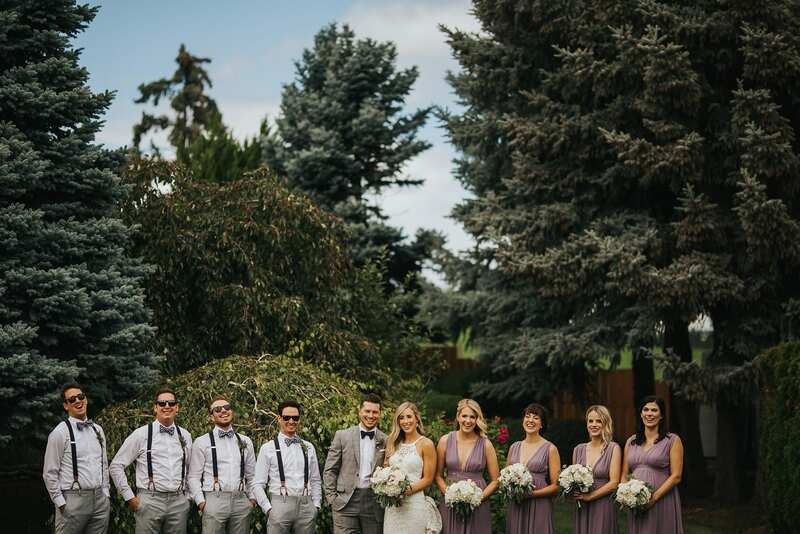 They always came to Davison Orchard in Vernon, BC. 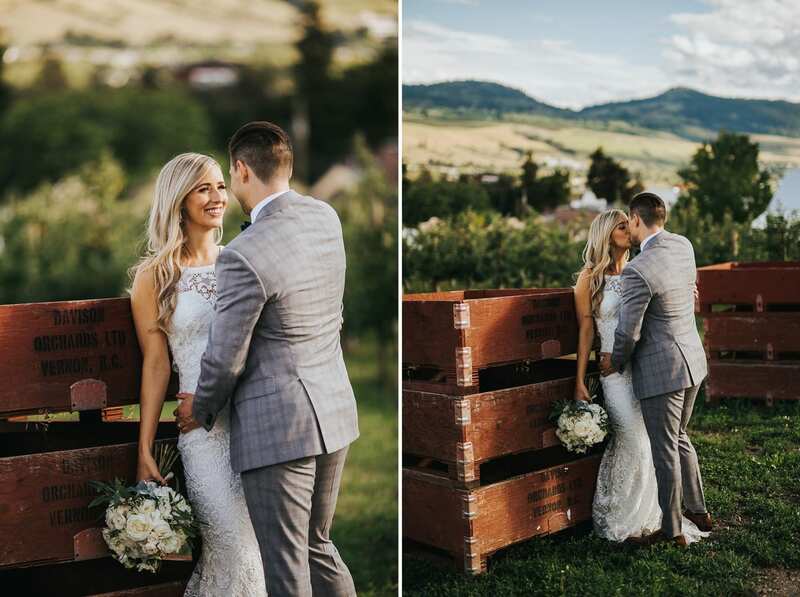 This is such a picturesque place for wedding portraits, and so very Okanagan for our Destination Okanagan wedding clients. 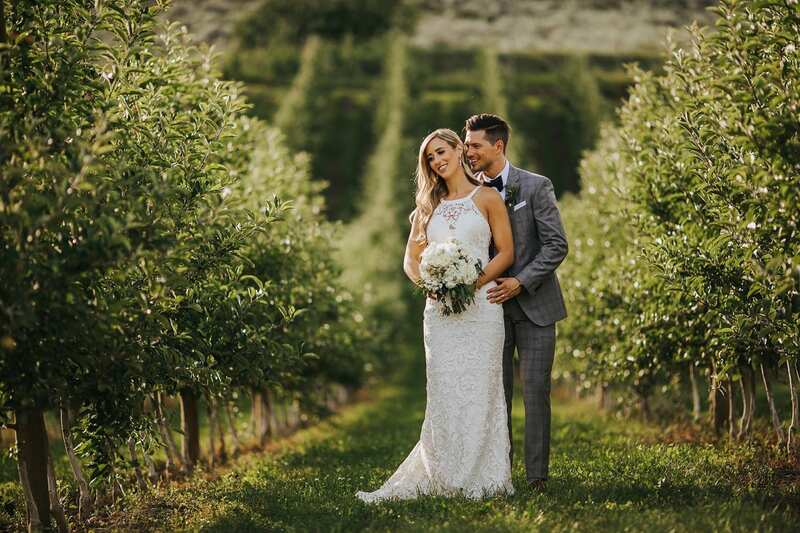 There were peaches hanging heavily on the trees in the orchard and we captured lots of romance for these guys. 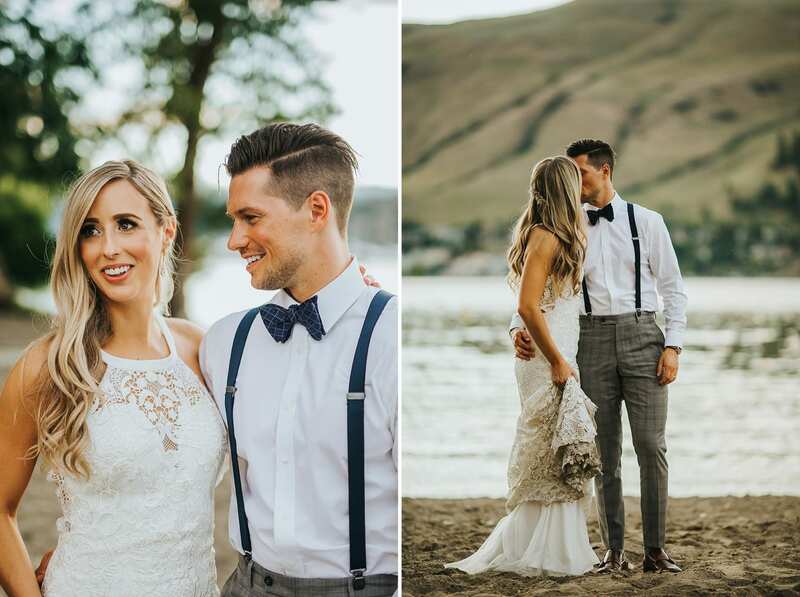 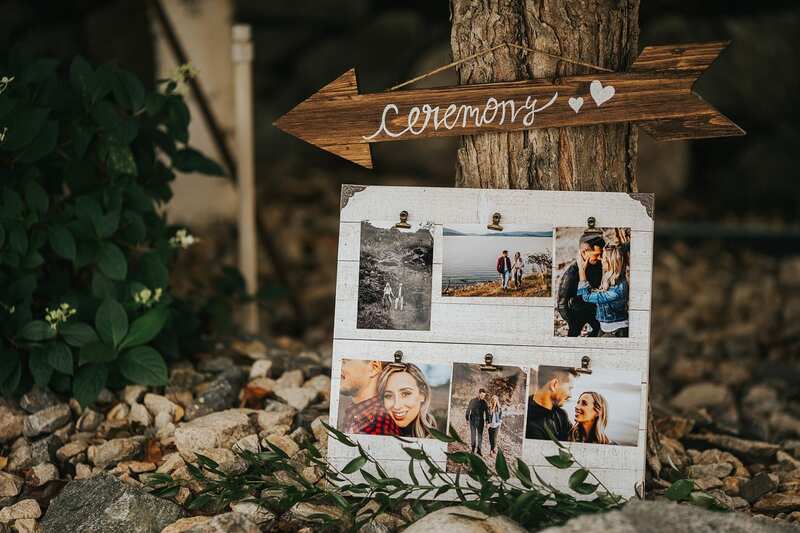 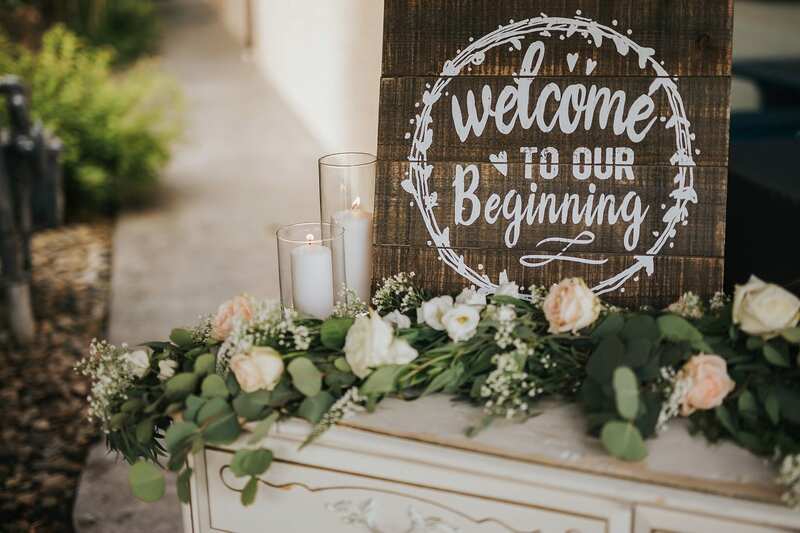 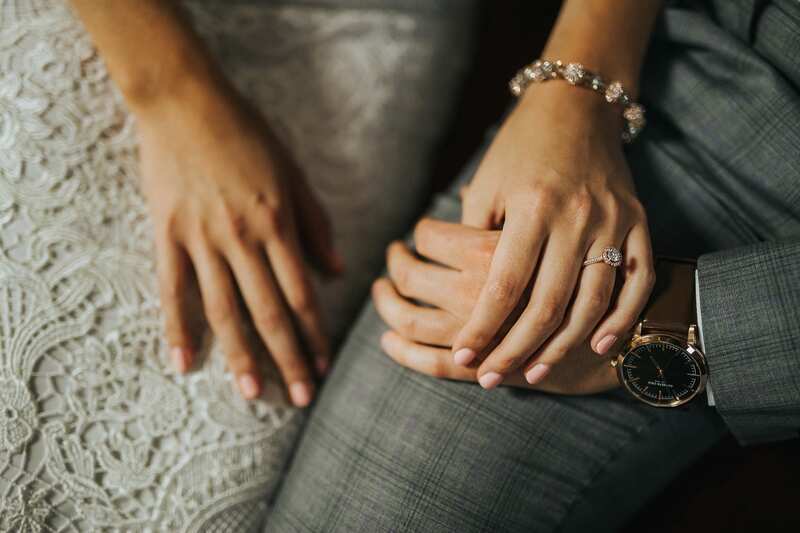 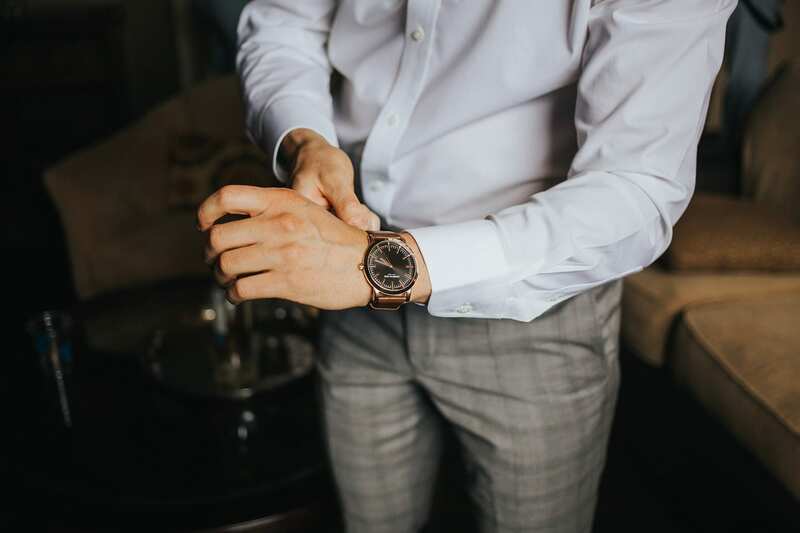 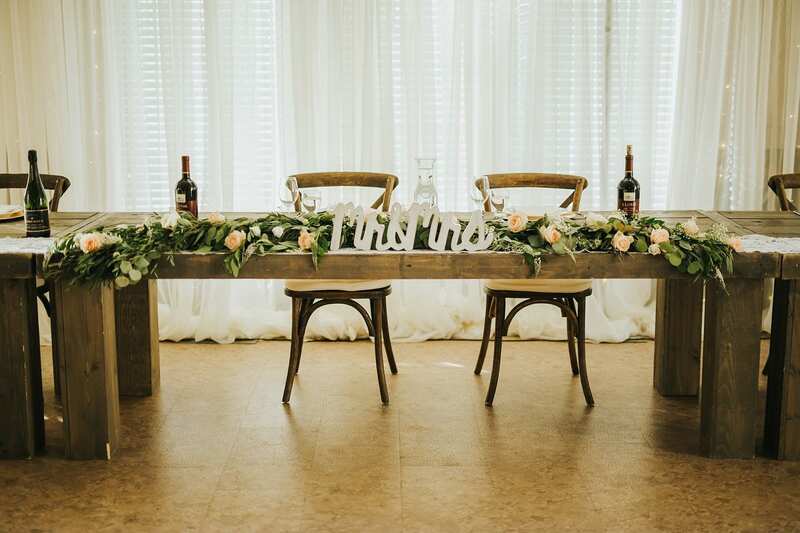 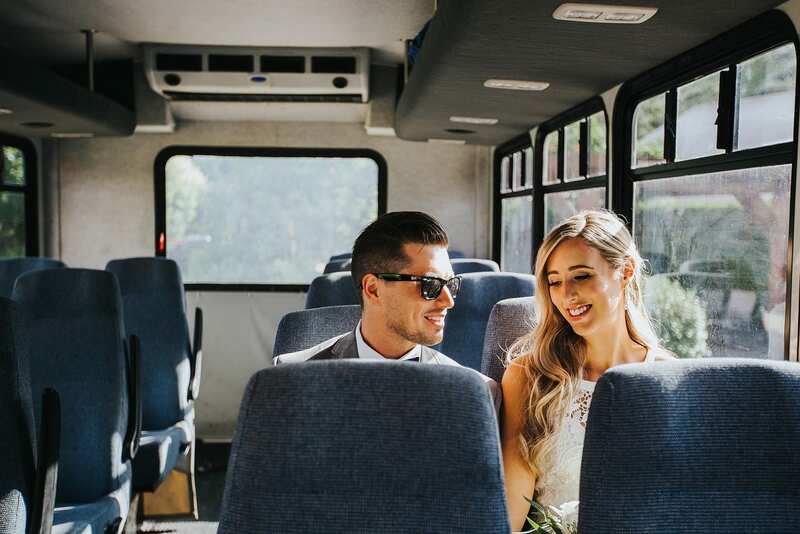 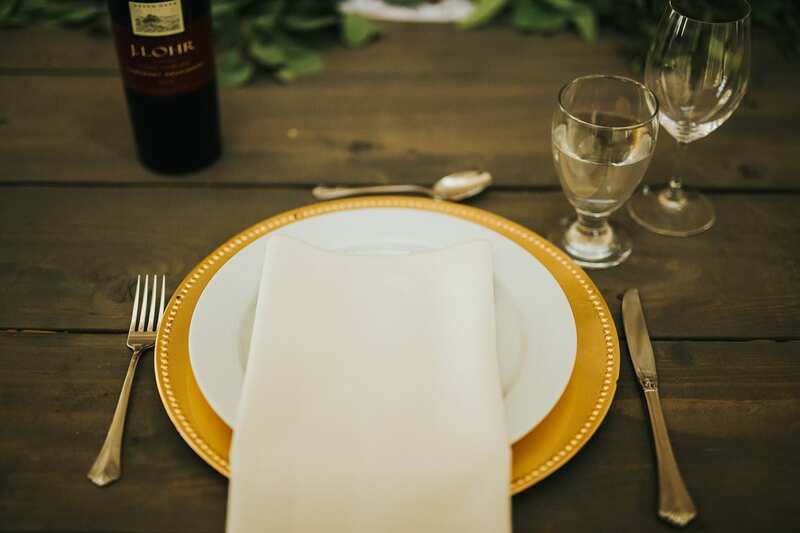 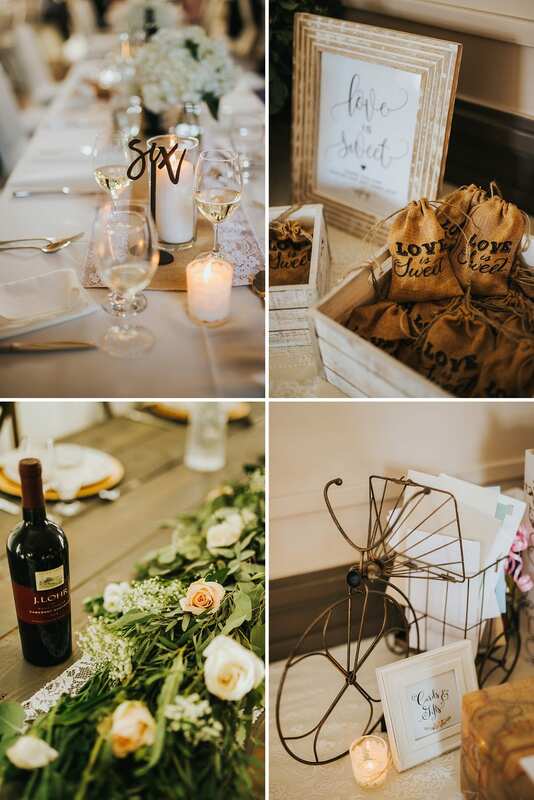 After creating memories and moments together, we headed to Paddlewheel Hall in Vernon, which is located right on Okanagan Lake for their romantic rustic elegant reception. 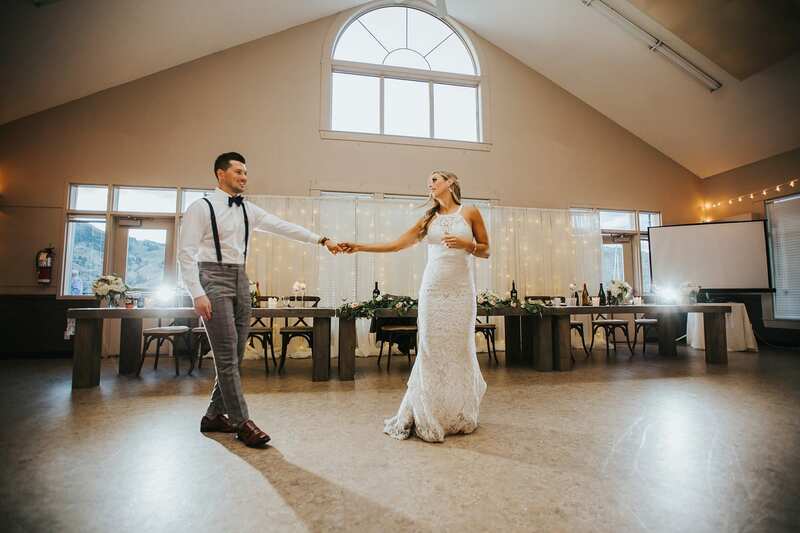 We love Paddlewheel hall. 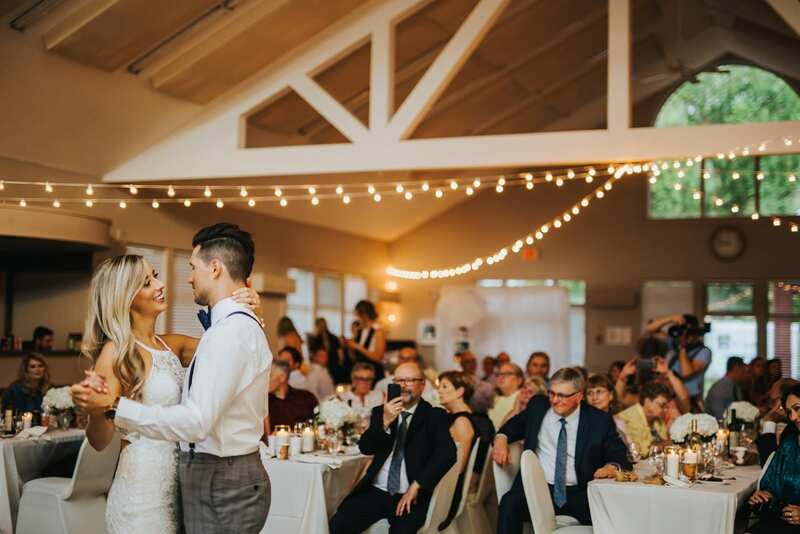 It is so bright, and airy, and the loveliest sunsets happen just across the lake through the windows. 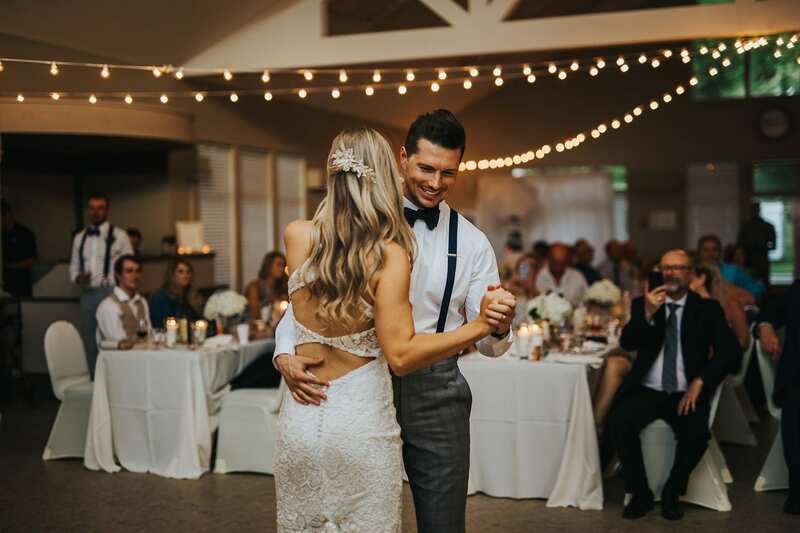 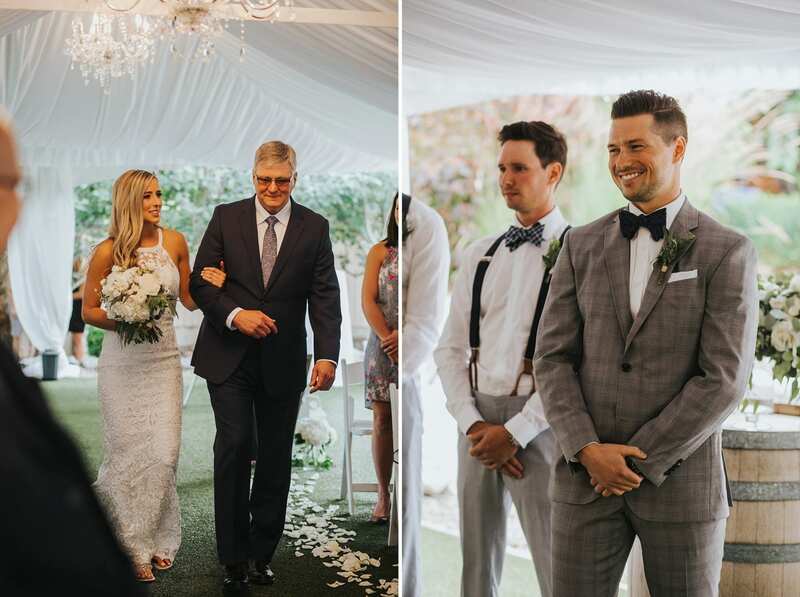 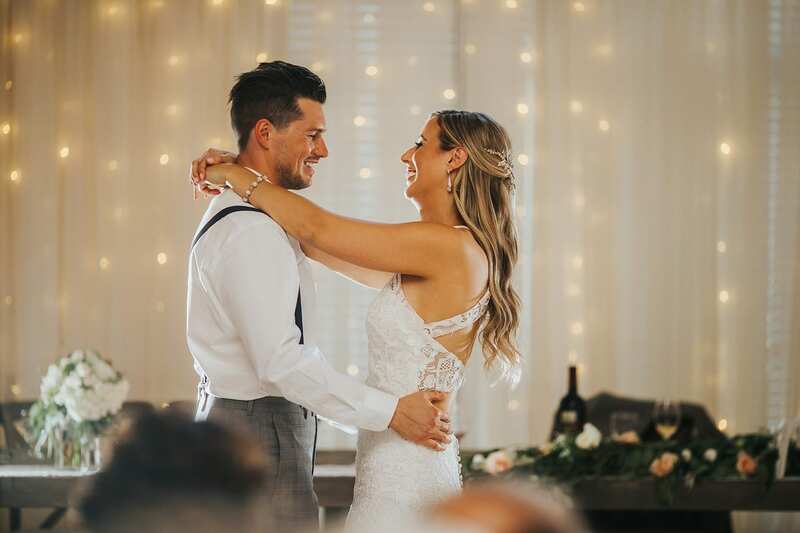 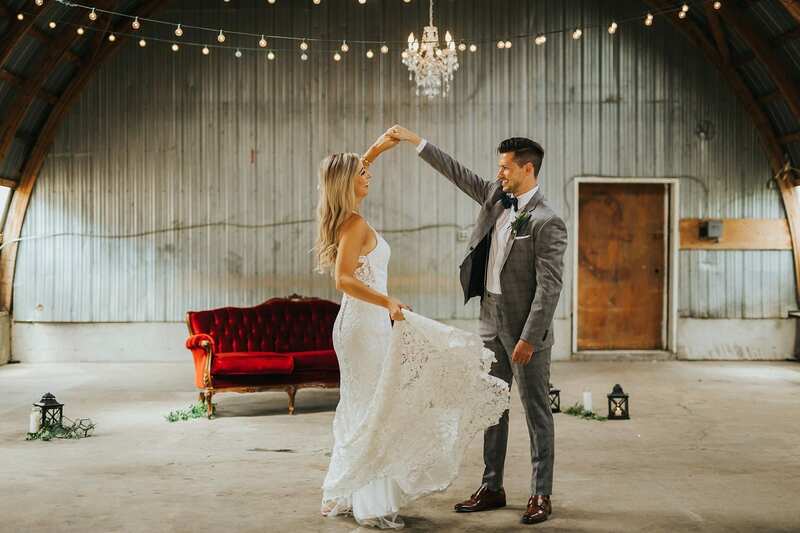 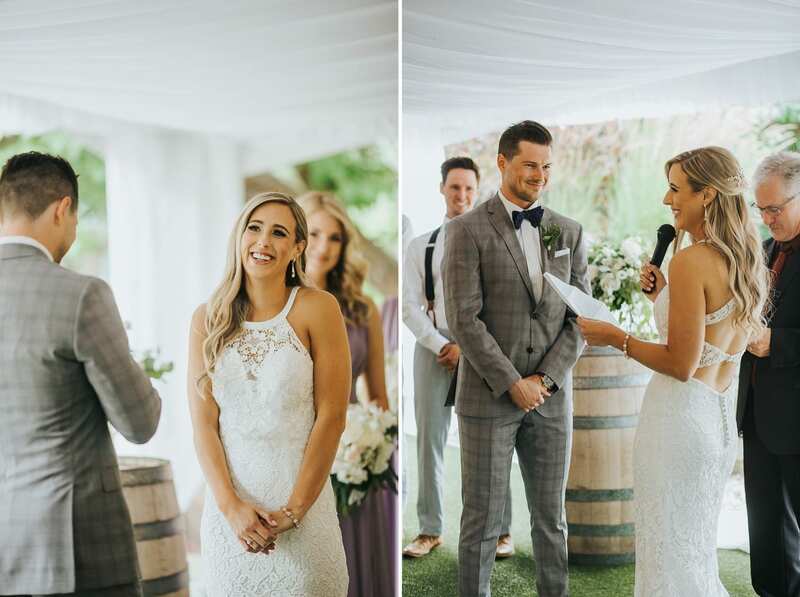 From sweet and touching speeches, to a few more romantic sunset photos, first dance, etc each moment of this reception was well planned, as you would expect from a love story that was years in the making. 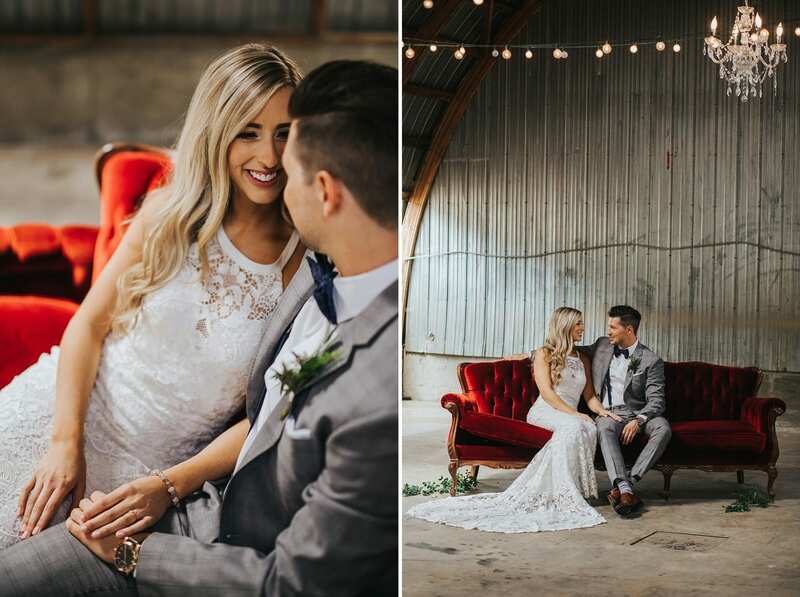 Kim + Ryan, thank you so much for allowing us to capture this first day in the rest of your forever! 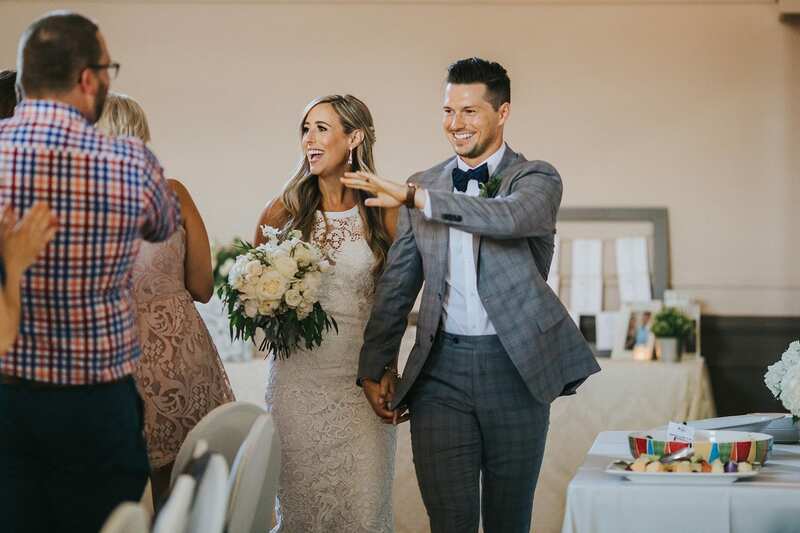 We always love meeting fellow childhood sweethearts! 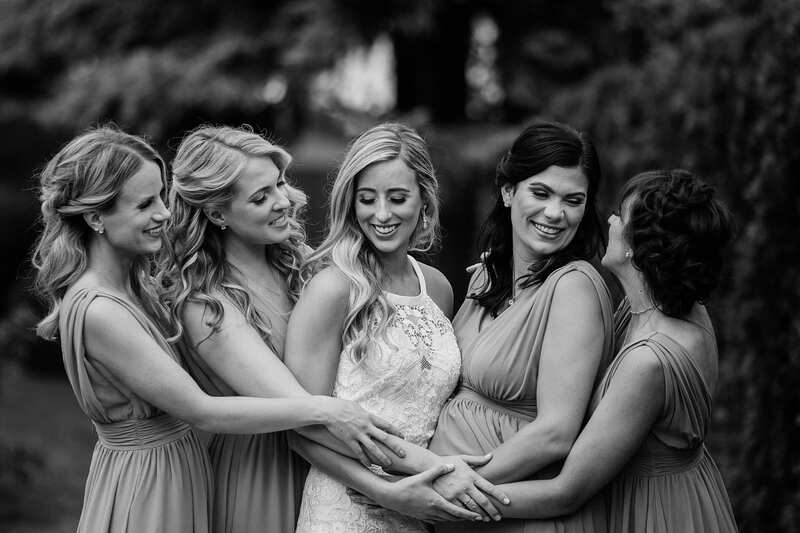 May your life together be filled with the joy of an eternal friendship and love that lasts from forever to forever!